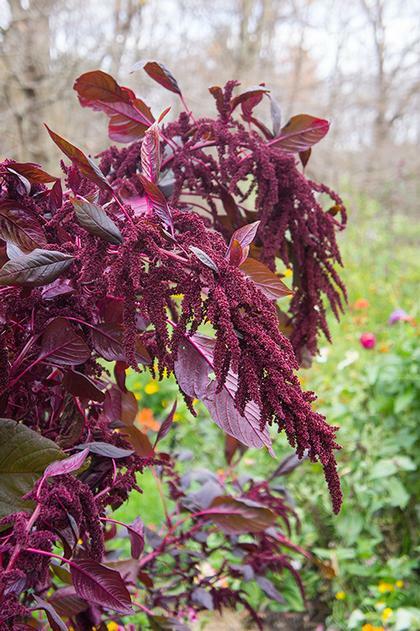 We can't get enough of the heat-loving Amaranthus. We first noticed this one in Fine Gardening and were hooked. Large dark maroon leaves with equally dark arching flower plumes on a tall show stopper. Used as a red dye by the Hopi Indians. Birds love it. A fabulous everlasting, too.